2016 MILK TOAST AWARD – Petersen Barn Community Center honored DTL’s Pilas! 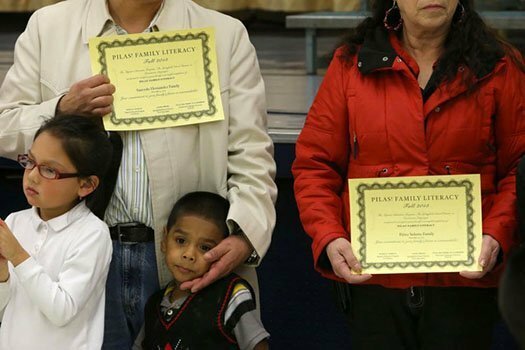 Family Literacy Program with its Milk Toast Award at the We Are Bethel Celebration in June. The award is given annually to a local organization that embodies the same spirit of community and inclusiveness that inspired the celebration. 2016 HUMAN RIGHTS LEADERSHIP AWARD – Presented to Executive Director Paulina Romo Villaseñor by the Springfield Alliance for Equality and Respect (SAfER). 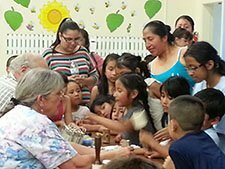 2016 ADVOCATE OF THE YEAR AWARD – DTL’s Executive Director Paulina Romo Villaseñor was named Oregon’s 2016 Title 1-C “Advocate of the Year” for her extraordinary contributions to migrant education. 2010 PEACE BY PIECE AWARD – Presented to Downtown Languages by Community Mediation Services.